As a licensed chiropractor, Dr. Kate Craig specializes in function-limiting disorders of the spine and extremities. Dr. Kate utilizes both manual and instrument-assisted chiropractic techniques to restore joint restrictions found in the body. Dr. Kate also provides comprehensive and research-based soft tissue and muscle rehabilitation therapy. 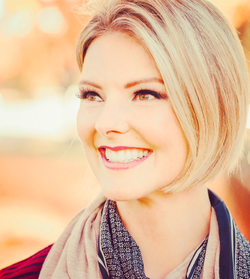 While advancing her clinical studies in chiropractic school, Dr. Kate discovered the powerful connection between yoga and Chiropractic. Dr. Kate is the inventor of an ergonomic yoga block called The Align Block. The Align Block is specifically designed to ergonomically support the curves of the human spine. This provides a simple, convenient and low cost solution for supporting the low back and hips, relieving muscle tension and alleviating pain.